This article was written by Simon Reid from The University of Queensland, and Una Ryan from Murdoch University, and was originally published by The Conversation. Summer holidays are upon us, and many of us will finally get to spend some lazy days by the pool. But how can you ensure this pleasant experience doesn’t leave you with any nasty surprises? Many infectious bugs (micro-organisms) use water to spread to new hosts. 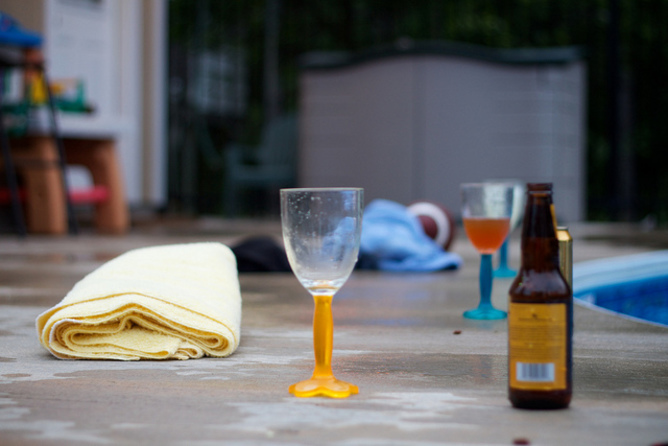 As such, swimming pools can be a major source of gastrointestinal illness. Many waterborne outbreaks are never identified. Fewer than 10 percent of ill people go to their doctor and most of these don’t submit samples for laboratory testing. Even if they did, organisms are difficult to detect in water and they’re often gone by the time the investigation takes place. The majority of bugs that end up in swimming pools originate in our gastrointestinal tract and arrive via faecal contamination (poo) or are washed off a dirty bottom. The tiny, single-cell parasites Cryptosporidium and Giardia are the leading causes of pool-related gastroenteritis in Australia and worldwide. These parasites can cause diarrhoea, dehydration, weight loss, abdominal pain, fever, nausea and vomiting. 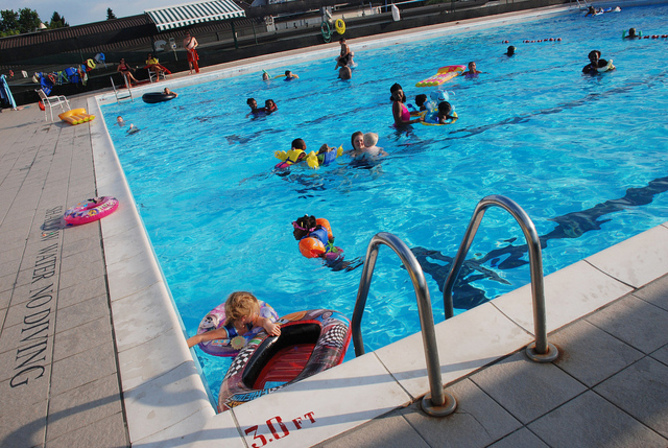 A number of viruses and bacteria - such as Shigella spp, Escherichia coli and Norovirus – also spread via swimming pools, causing gastroenteritis. Symptoms are similar to those usually associated with “food-poisoning”: vomiting, diarrhoea (sometimes bloody), fever and stomach cramps. The good news is that proper pool chlorination will kill these bacterial and viral pathogens. Naegleria fowleri, the cause of amoebic meningitis (aka the brain-eating parasite), lives in warm, unchlorinated fresh water and recently caused the tragic deaths of three children. Yes, but try not to drink the water. The main issue is accidental (or intentional) ingestion. Most ear infections swimmers suffer are associated with repeated and prolonged wetting of the ear canal and not with specific pathogens in the water. The smell of chlorine sounds like it would be a good thing, but it isn’t. The strong 'chlorine' odour associated with swimming pools is due to chloramines and not chlorine. Chloramines are a by-product of the chemical reaction between chlorine and nitrogen from human sweat and urine. The process of superchlorination, or the addition of extra chlorine, destroys ammonia and organic compounds. This reduces chloramines, eliminates the smell and improves sanitisation. A well-managed pool with adequate levels of chlorine should, in fact, have no odour. Faeces enters pools mostly from other swimmers' 'accidents'. Recent studies show that, worldwide, most pools have at least one "accidental faecal release" every week throughout summer, and even daily in hydrotherapy pools or those highly used by non-toilet-trained infants and toddlers. Commercially available swim nappies reduce the problem, but some release will still generally occur.